Watch the PCOS Challenge television show now to learn ways to overcome anxiety and depression and other emotional and psychological issues associated with Polycystic Ovarian Syndrome. View full episodes and get free support for PCOS and anxiety and depression at PCOSChallenge.com. 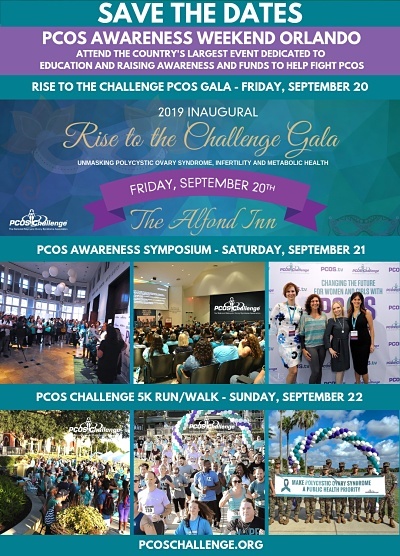 PCOS Challenge is a national award-winning cable television series that follows ten women with PCOS as they have their lives transformed by health and medical experts. The show addresses common PCOS symptoms and related conditions including anxiety and depression, infertility, diabetes, obesity, cardiovascular disease and hirsutism. resources for PCOS and depression. Get the expert help you need. speaks about depression and anxiety in women with PCOS. In this episode of the PCOS Challenge Radio Show, Dr. Gretchen Kubacky discusses the psychological aspects of Polycystic Ovarian Syndrome and how women with PCOS can learn to live happier and achieve a better balance in their mood and functioning.